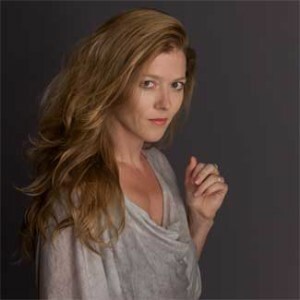 Nova Scotian musician Barbara Hannigan divides her time between singing on the world’s major stages and conducting leading orchestras. The Berlin Philharmonic, Münchner Philharmoniker, Gothenburg Symphony, Orchestra dell’Accademia Nazionale di Santa Cecilia, Mahler Chamber Orchestra, and the Toronto Symphony are among the orchestras with whom she holds close relationships. Ms. Hannigan has worked with the most prominent conductors, including Simon Rattle, Kent Nagano, Esa-Pekka Salonen, Andris Nelsons, Yannick Nézet-Séguin, Kirill Petrenko, David Zinman, Vladimir Jurowski, Antonio Pappano, Alan Gilbert, and Reinbert de Leeuw. Her commitment to the music of our time has led to an extensive collaboration with composers including Boulez, Dutilleux, Ligeti, Stockhausen, Sciarrino, Barry, Dusapin, and Abrahamsen. She has recently been appointed as Principal Guest Conductor of the Gothenburg Symphony in Sweden, following Kent Nagano’s tenure in that position. 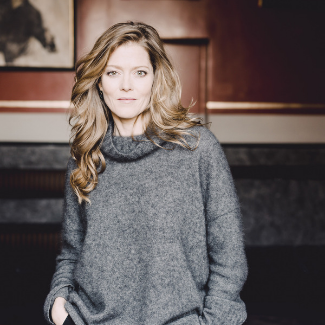 In 2017, Ms. Hannigan released her first album as both singer and conductor, with Holland’s LUDWIG orchestra as the orchestral force, on Alpha Classics, entitled Crazy Girl Crazy. The album features works by Berio, Berg, and a specially commissioned Gershwin arrangement by Bill Elliott, as well as a bonus dvd by Mathieu Amalric. The album has received numerous awards worldwide including the Grammy and Juno awards for best classical vocal album. Ms. Hannigan’s previous recordings have garnered awards from Gramophone, Edison, Victoires de la Musique and the Royal Philharmonic Society. Other awards include Singer of the Year (Opernwelt, 2013), Musical Personality of the Year (Syndicat de la Presse Francaise, 2012), Ehrenpreise (Preis der Deutschen Schallplattenkritik 2018), and Rolf Schock Prize for Musical Arts (2018), and she was recently appointed as a member to the Order of Canada (2016). In 2017, Ms. Hannigan created Equilibrium, an international mentoring initiative for young professional musicians, and chose 21 participants from a total of 350 applicants from 39 countries to participate in Equilibrium’s first season (2018/19), which will have over 20 performances with four partner orchestras in works including Stravinsky’s The Rake’s Progress, Mozart’s Requiem, and Stravinsky’s Pulcinella.